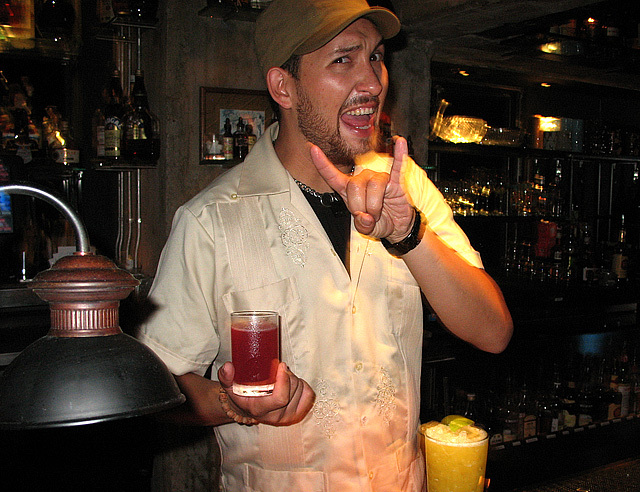 In addition to serving some of the finest cocktails and spirits to be found in this or any other city, Caña Rum Bar and Seven Grand each host monthly gatherings where guests are educated on the good stuff through tastings and presentations: Caña Rum Society and Seven Grand Whiskey Society. Now that we’re off and running in 2011, both bars are gearing up for their first meetings of the year with bonuses like free memberships and bar swag. Bring your friends and wile out with Caña GM Allan Katz on January 25th. 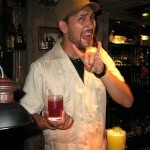 The first Rum Society meeting of 2011 will take place on Tuesday, January 25th. Since the year is still young, Caña GM Allan Katz and Rum Society co-host Matt Robold (RumDood) have selected some younger rums (rested for one to five years) for sampling. Tuesday’s special guest is Sagatiba Cachaça Global Ambassador John Gakuru, who will lead a tasting of Sagatiba Velha. In addition to the Velha, members will also sample a Rhum J.M. bottling, and then taste English Harbour, the Rum Society’s first rum from Antigua. Rum Society members who want to look like rock stars to their friends should bring them to Tuesday’s meeting, where Caña is offering complimentary memberships (limit 3 per member). Tuesday will also mark the official debut of Caña’s winter cocktail menu of “new originals and recently unearthed classics,” many of which have been making appearances at Caña in recent weeks. Seating for Rum Society is available on a first-come, first-served basis so RSVPs are strongly recommended. 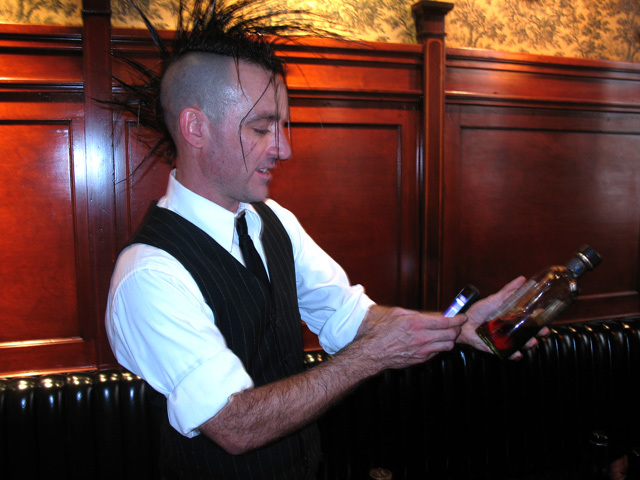 Pedro Shanahan checks on a whiskey price at a recent tasting event. A week after Rum Society, Seven Grand’s Whiskey Society will meet on Tuesday, February 1st. Beginning at 6:30pm, Seven Grand will be handling Whiskey Society sign-ups and membership renewals. This year, single membership will be $70 and VIP will be $125, which includes an additional guest to all Whiskey Society events. The featured whiskey for the February 1st meeting is the new Private Selection from Woodford Reserve, selected by Whiskey Society leader Matt Wallace and Seven Grand GM David Fleisher on a visit to Kentucky last year. Other whiskies to be sampled are TBA. Beginning with this meeting, some changes are ahead for the Whiskey Society. The monthly meetings will be often be lead by Seven Grand staff and start to focus on some of the more obscure whiskies in the bar’s collection, not just familiar brands. In addition to the monthly meetings, members can expect invites to additional whiskey tasting events. As of the February 1st meeting, Wallace is handing the Whiskey Society reins over to Pedro Shanahan, who will be Seven Grand’s new “Spirit Guide” and will helm the Whiskey Society going forward. After February 1st, RSVPs and Whiskey Society communications should be sent to pedro@213downtown.la.